Foreign exchange trading, in the way that we know now it, would not exist if it were not for the rapid development of forex trading software. 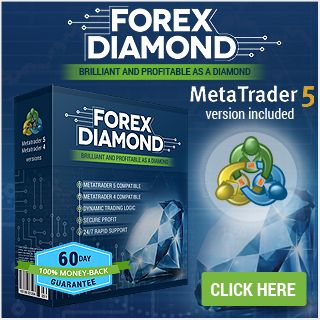 These software packages allow forex traders to work from their own personal computers and to interact with the large trading platforms that actually oversee and place forex trades. In addition to being the tool that traders use to complete their deals, many of these software packages also contain multiple sources of information that investors will find very useful. Everything from current pricing to performance history can be looked up in short order using forex trading software. Quick fact : The Forex market is by far the largest financial market in the world, and includes trading between large banks,central banks, currency speculators,multinational corporations, governments, and other financial markets and institutions. One site that offers their own version of forex trading software when you open an account with them is forex. com. This custom designed software is widely used and has a high rate of customer satisfaction. The site’s customer service center is open 24 hours a day Monday through Friday (basically when the worldwide forex markets are open) so that you can address any issues that you may have immediately. Experienced forex traders know just how costly down time can be, so it’s important to have someone to turn to immediately should any problems occur. Did you know that the average daily trade in the global forex markets currently exceeds US$ 2-2.5 trillion ! Another great website that offers free downloadable forex trading software when you open an account is gftforex. com. The software they make available to their clients is called Dealbook360. This state of the art trading software is simple enough to allow even beginning forex traders to feel comfortable but powerful and comprehensive enough to keep even the most demanding foreign exchange traders happy and satisfied . In addition, Dealbook 360 monitors some of the tightest bid/buy spreads available, thus increasing your profit margins. One web site that you may find exceedingly helpful is fxstreet. com. The creators of this page have made a running list of all of the major trading platforms and the banks that support them. Additionally, the software packages utilized by each company are listed here. This information will allow you to choose your institution based on software if you feel more comfortable with one program than another does. This site also provides information on which sites offer the best customer support. Whether it’s online support, phone support, or even live support, you can find out what is available as fxstreet. com. 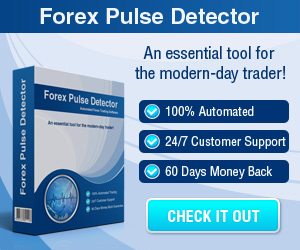 You will find that most forex trading software is similar in design and function. The features that separate good from bad are the support features that each forex trading company offers with its trading software. Before you choose a foreign exchange trading company to use, make sure that you do plenty of research on all of the companies that you are interested in. Take advantage of the investment simulators that each offers on its site and get a feel for how the forex trading software works in real time. Read consumer reviews to see other forex trader’s opinions and experiences with a given company. Check to make sure that their customer service record is reliable and prompt. Be the first to comment on "A Guide To Choosing The Right Forex Trading Software"